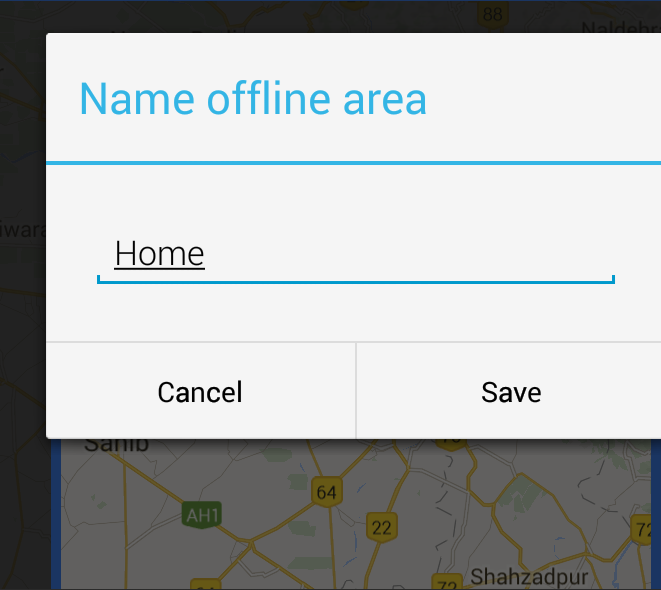 how to download google maps offline in smartphones. so Today I come up with an amazing android trick. In this tricks I will show you how you can save map offline. 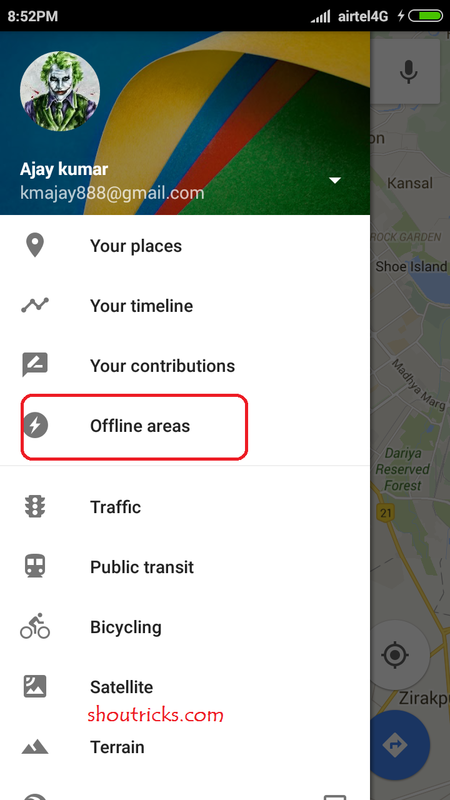 it is possible to use google maps offline? Because google maps have huge database and the best thing about google maps is it is working with GPS navigation technology to show the route but. 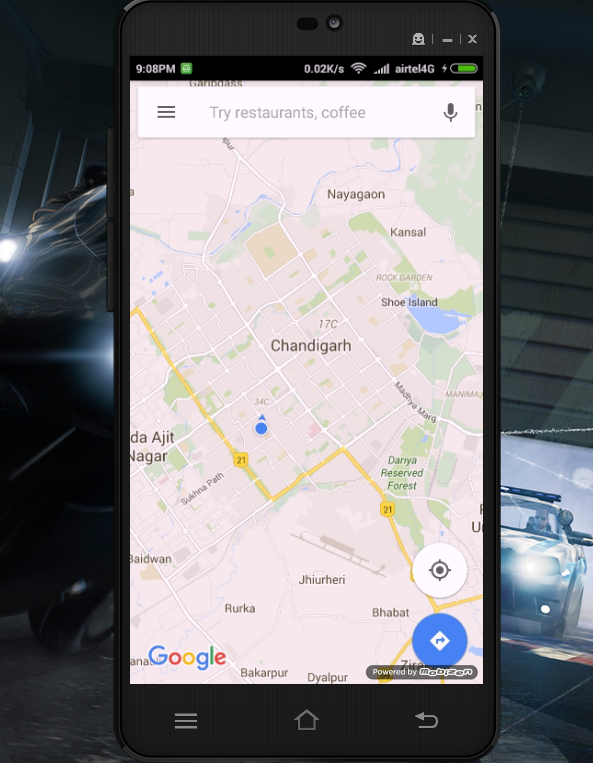 Now a day everyone knows about google maps because of navigation. Whenever we want to go we must use google maps for finding our path or destination. I think it is a helpful feature from Google. Now the main thing comes.Can we use google maps offline? Because google maps are ideal for everyone Most of the users use google maps for finding his/her place. Whenever user lost he/she must use google maps to come out from that problem. But the google maps require a good internet connection and also its work good with wifi. So friends in this post I mentioned about google maps offline. Now the question comes on offline GPS can we use google maps as offline. Yes, we can. Now a time everyone using it for getting direction almost all of us use it for getting our route. The google maps mostly use in this time. Most of the people use it for daily base. The one caveat to using google maps offline is that you will have to use it online in order to store the required data first. 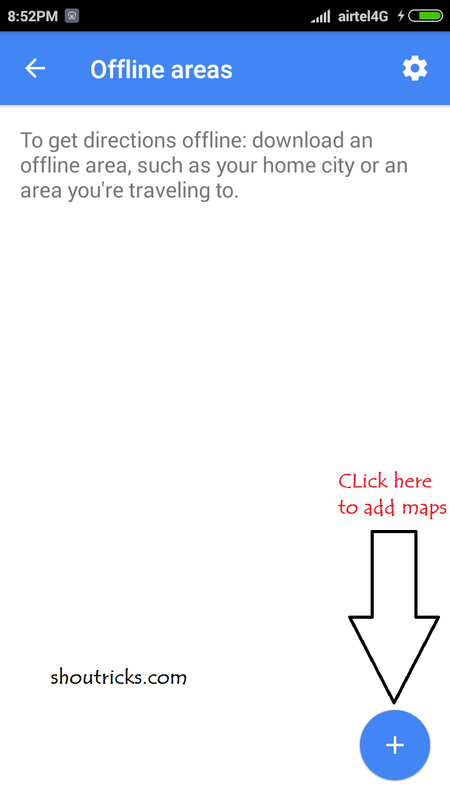 There is some limitation to the functionality of offline maps. Mostly regarding the size of maps you can download google maps around 1.5 GB. You can save area which is inside the square box. 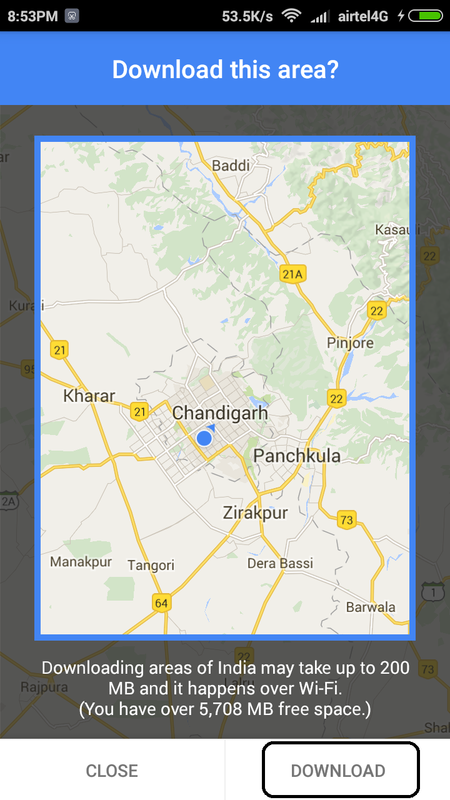 The main limitation of offline maps is you can not download the whole country like you can’t download the whole India. Downloading for google maps you must required more space in your android phone. Also broadband Speed required. So, friends, I recommend Use WiFi to download google maps offline. Hope you guys like this awesome google maps trick. If you like this then share this trick with your friends and family and thanks for visiting my Blog.